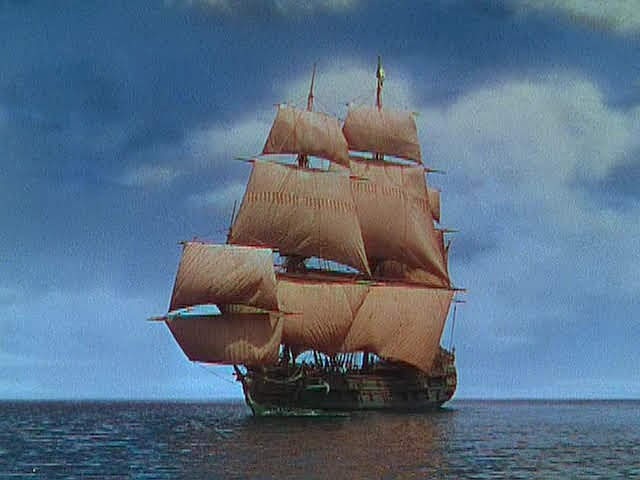 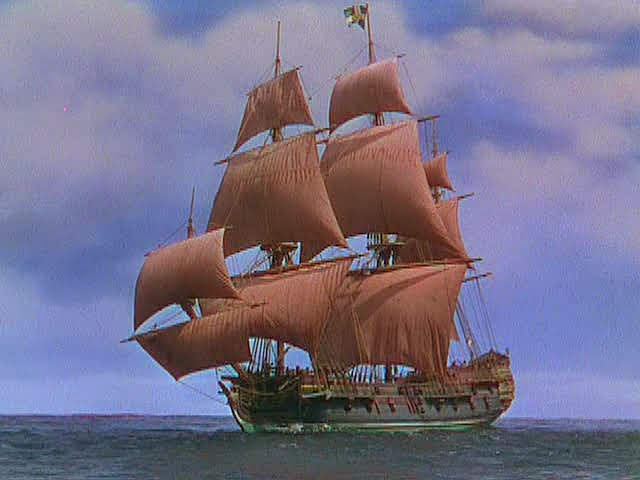 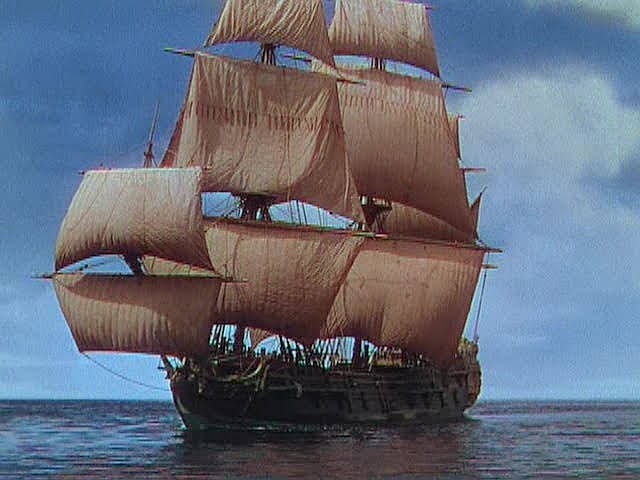 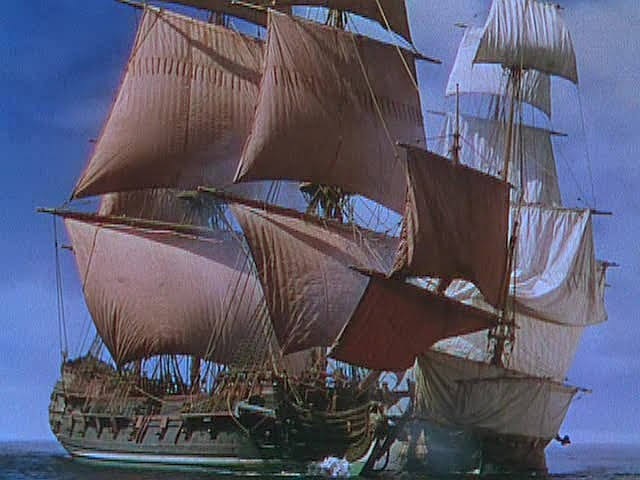 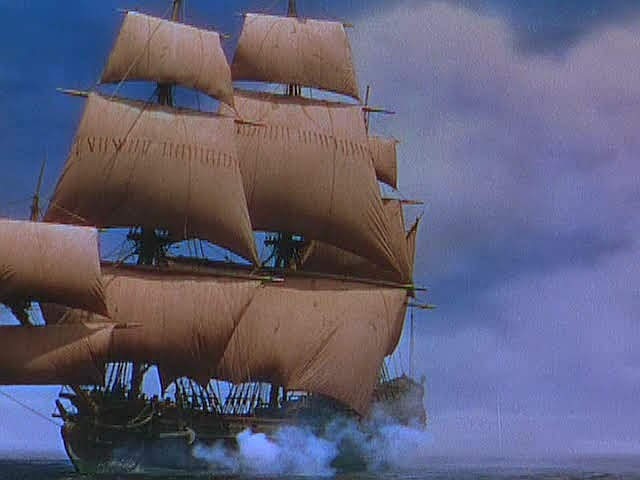 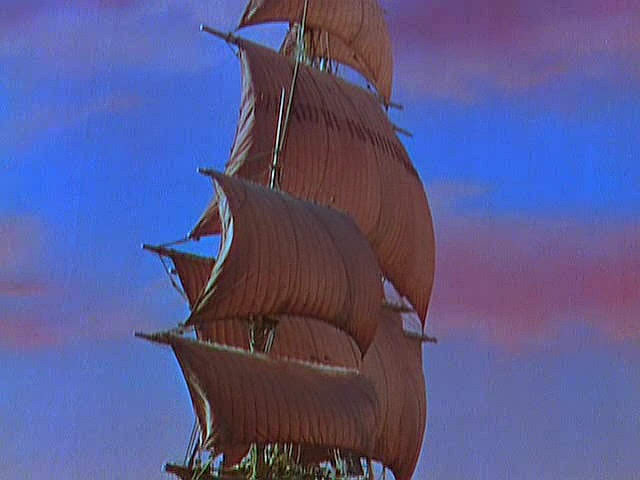 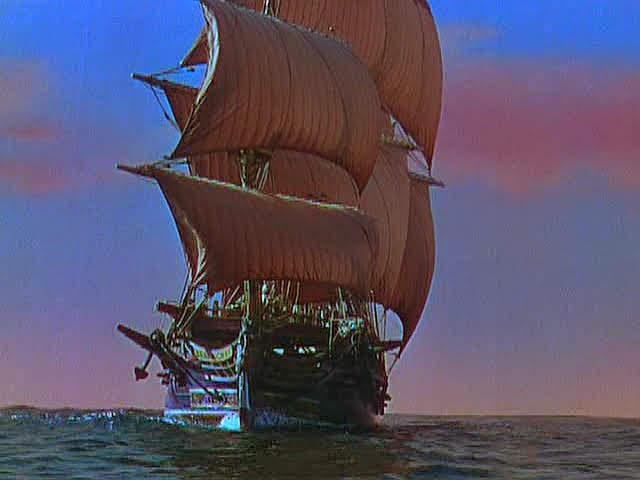 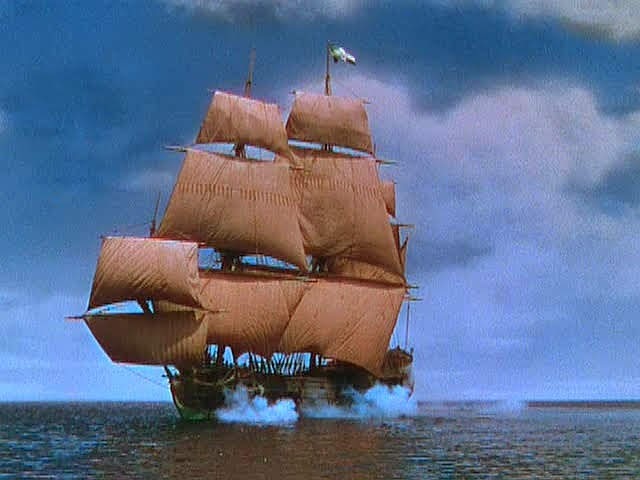 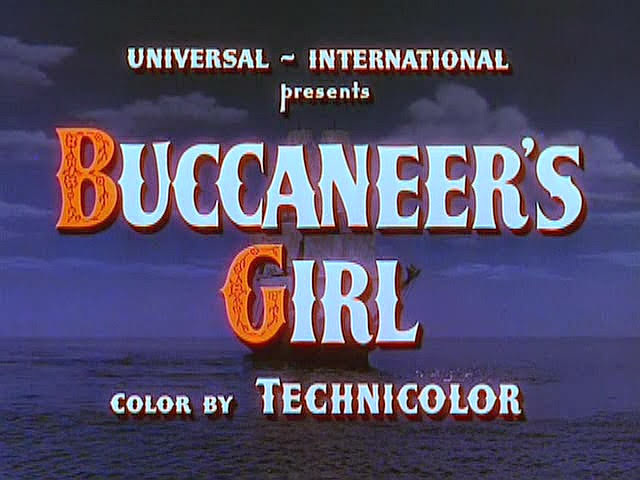 Some classicly styled technicolour model ship shots in this film including a few lifted from The Black Swan (1942), which leads me to suspect that some (if not most) of the other shots may also have been appropriated from previous productions. 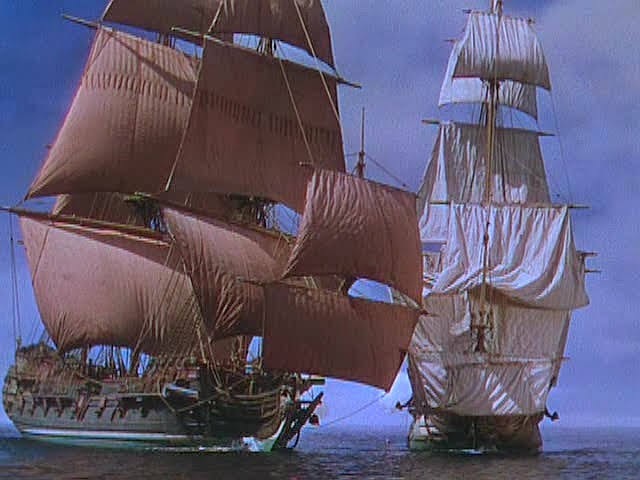 Special Photography credited to David S. Horsley. 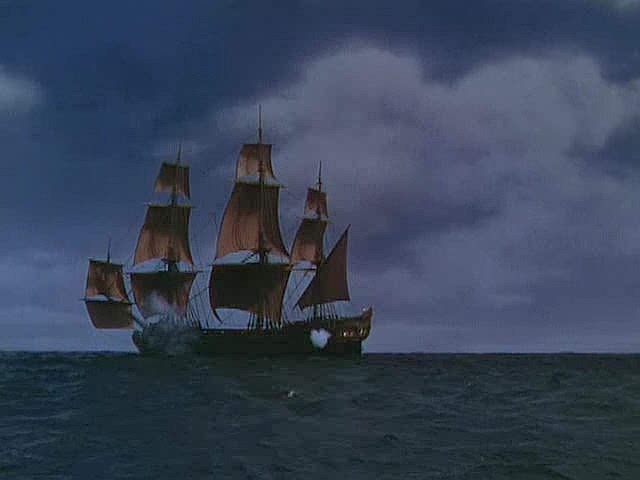 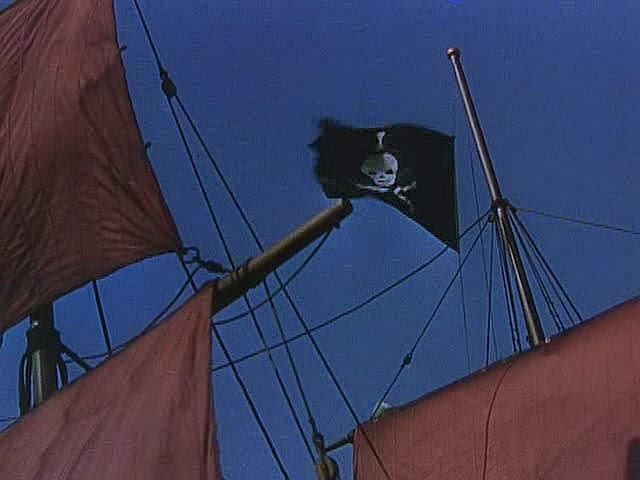 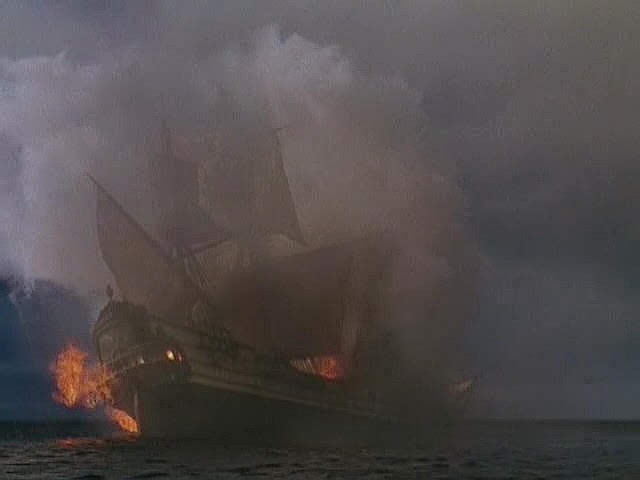 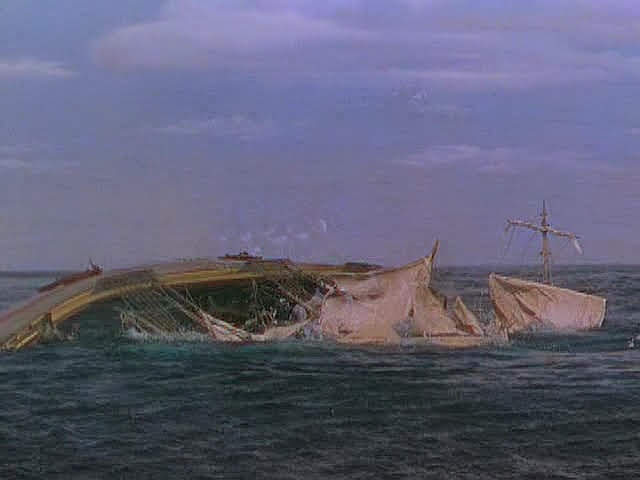 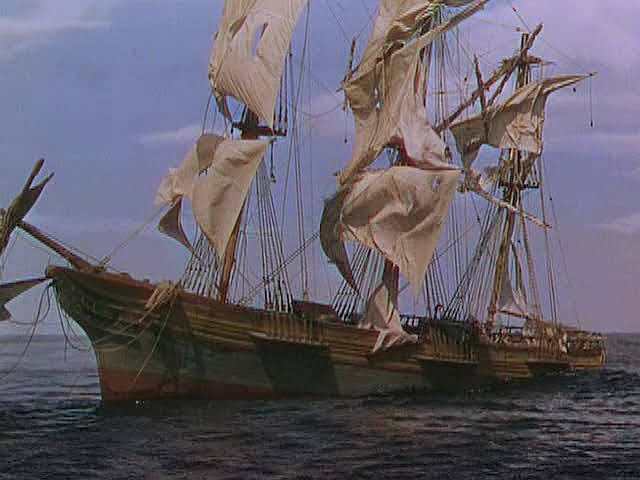 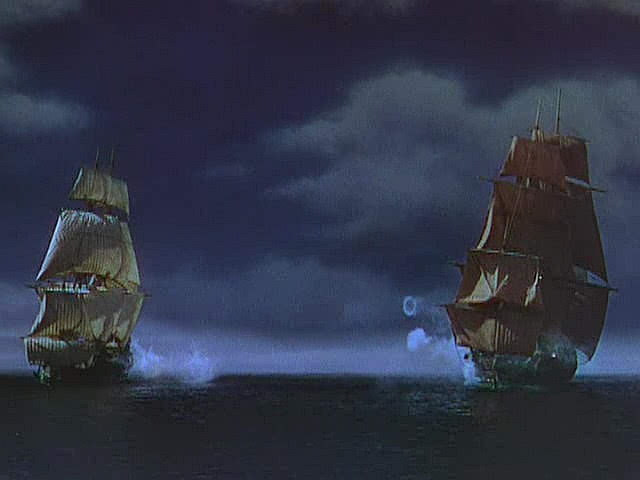 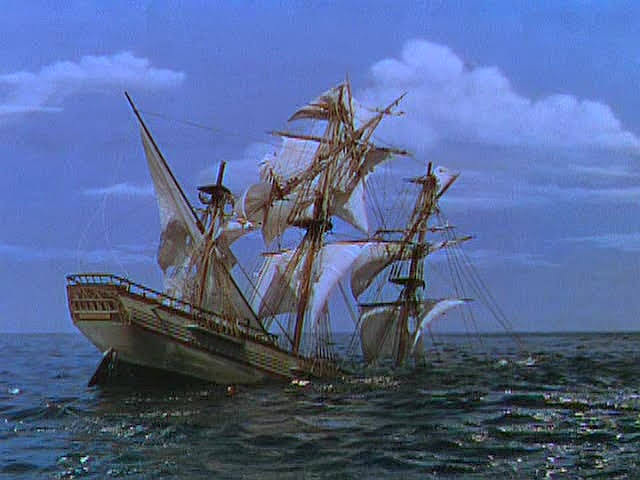 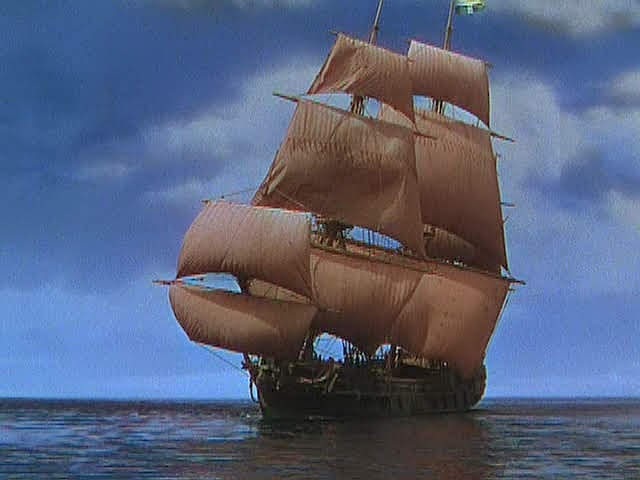 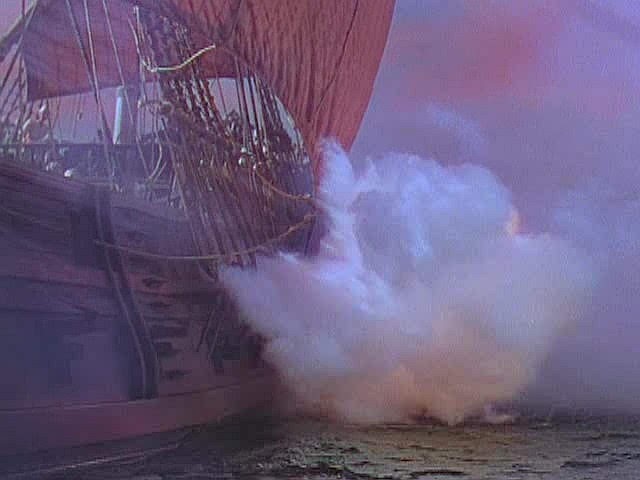 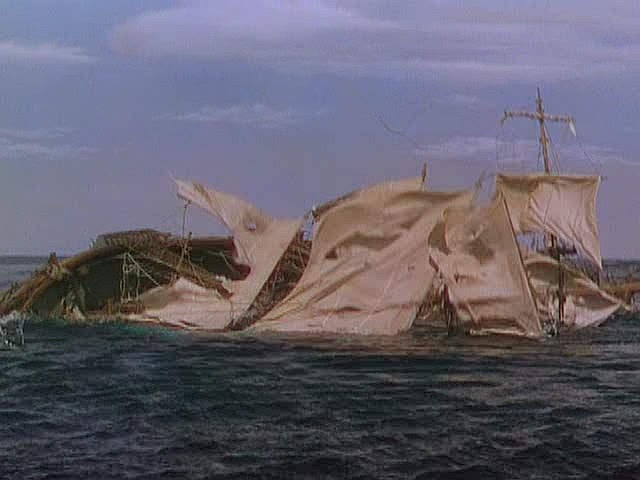 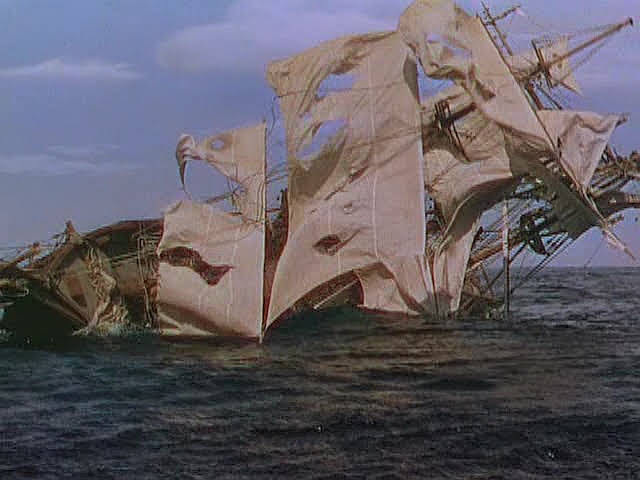 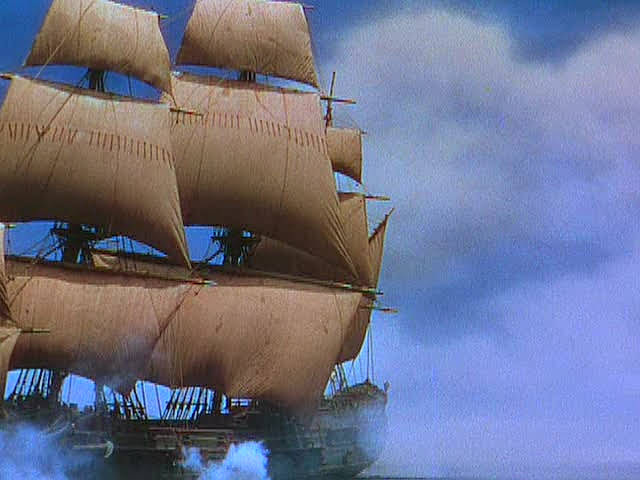 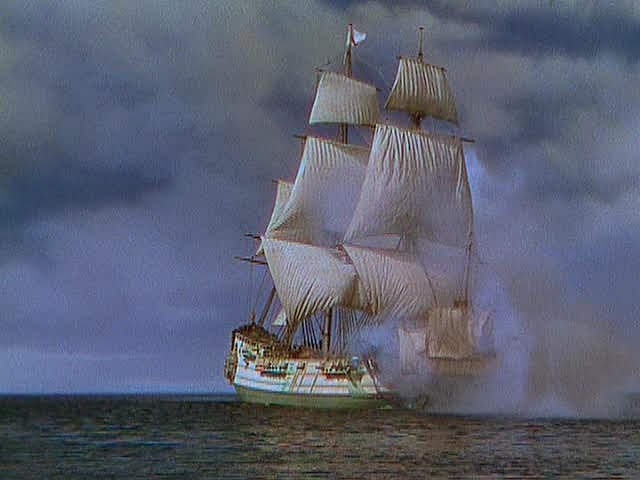 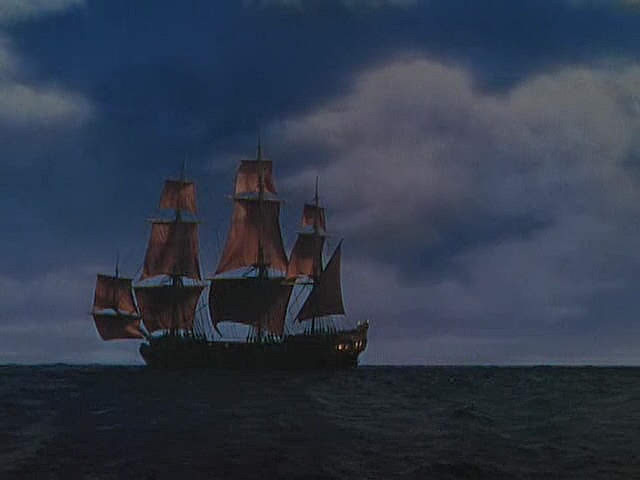 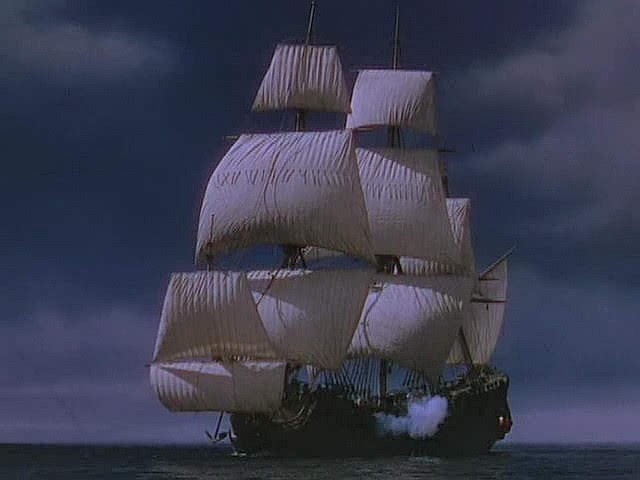 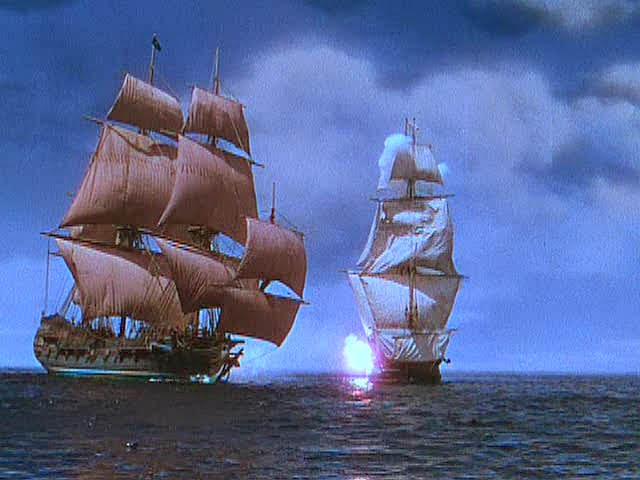 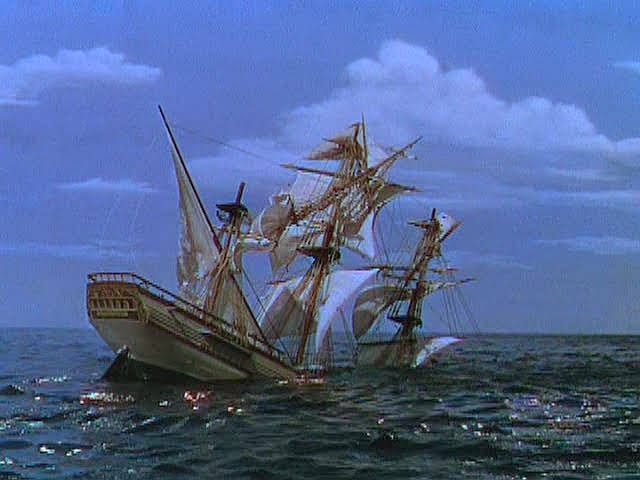 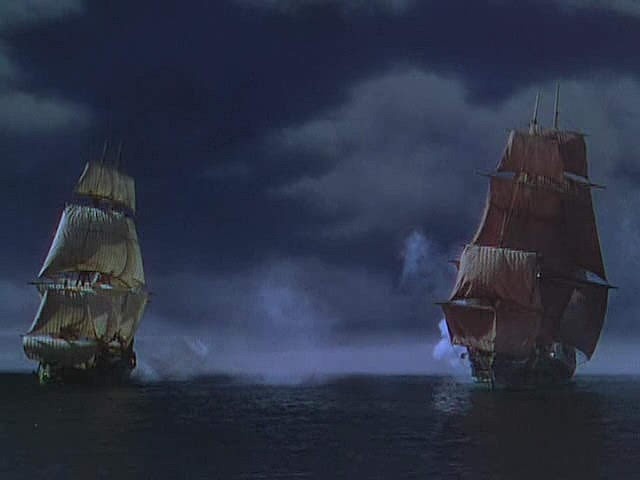 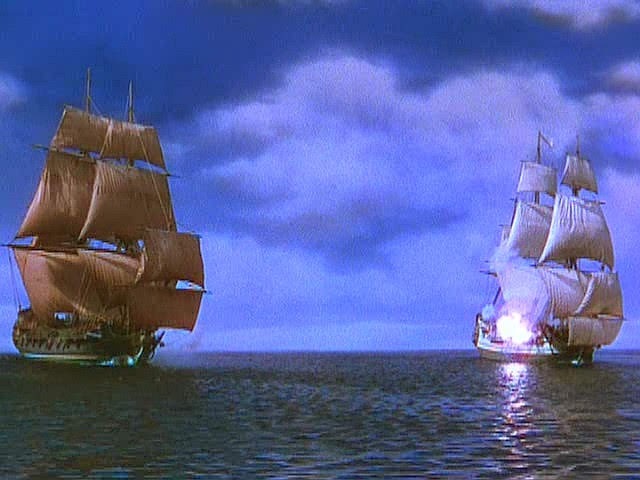 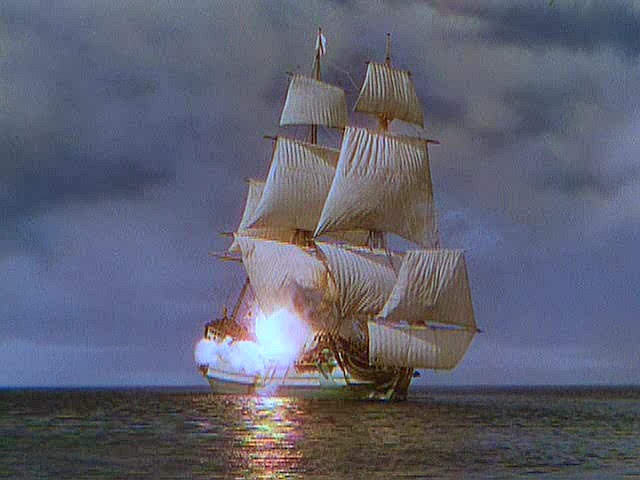 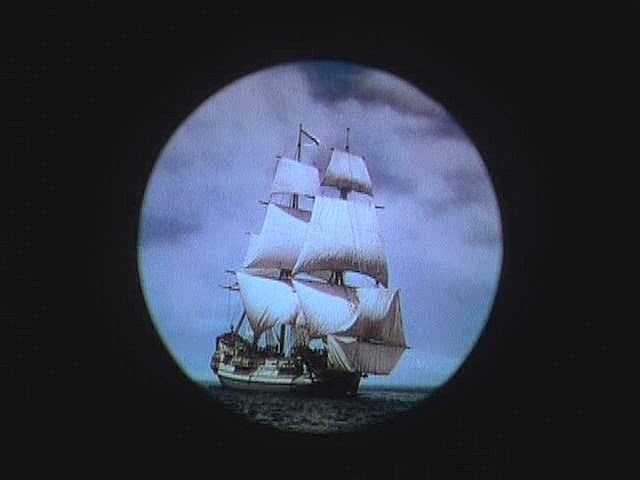 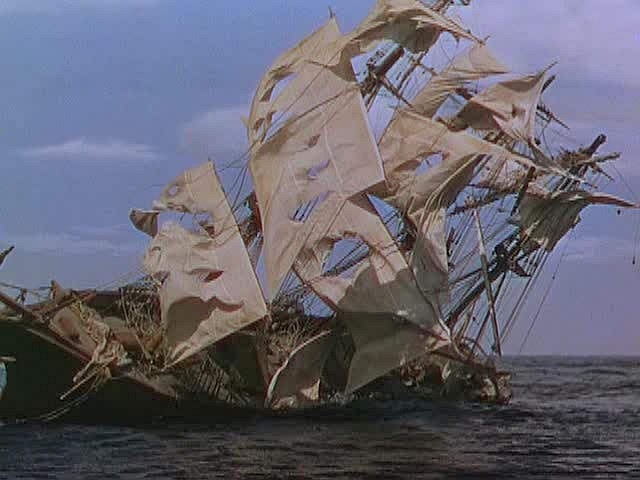 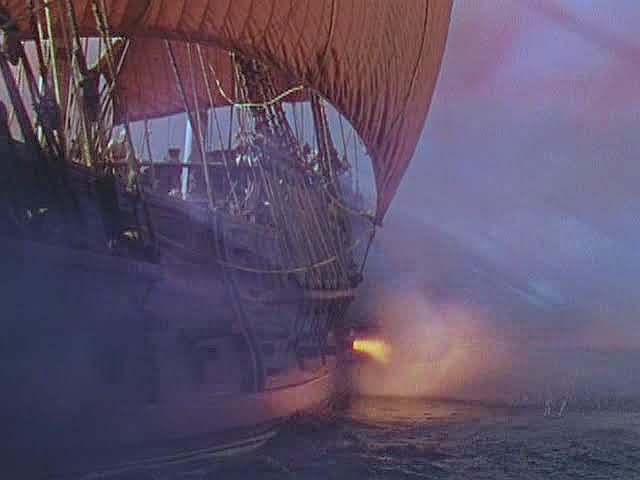 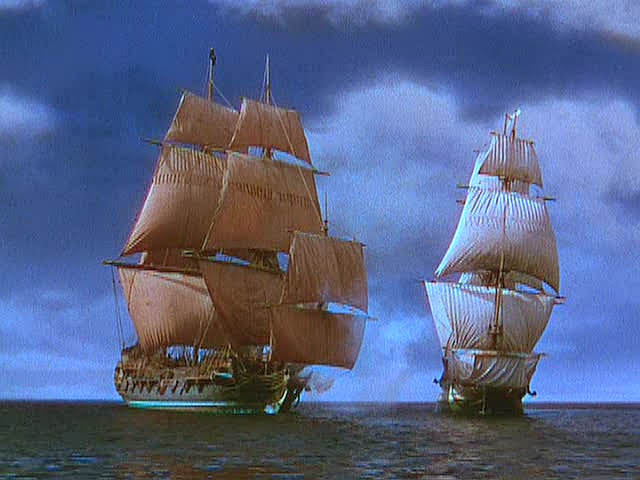 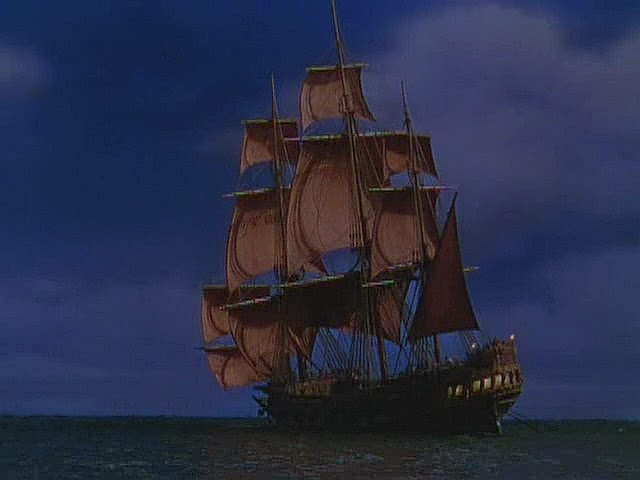 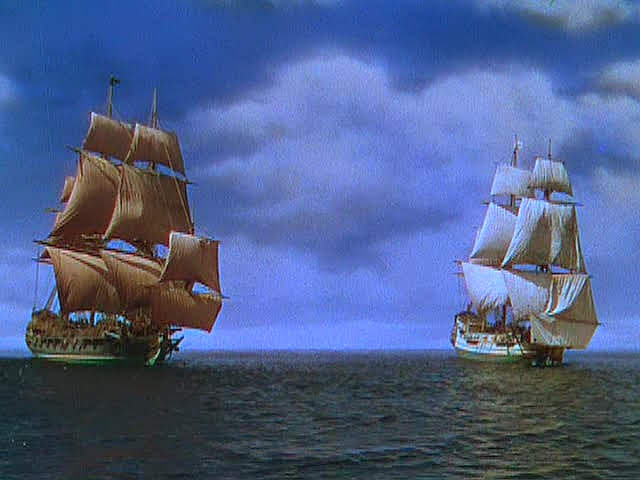 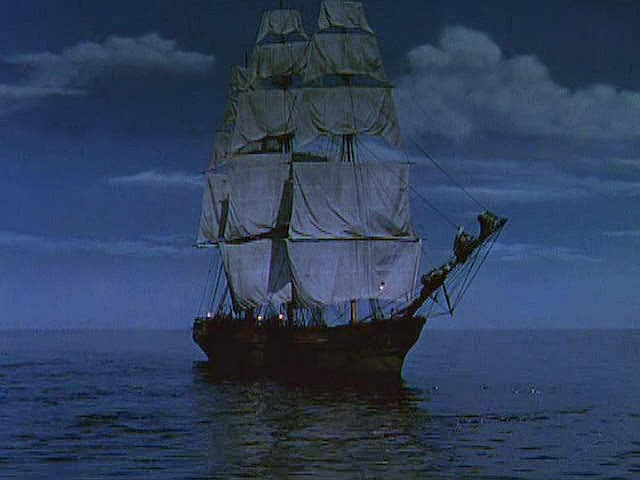 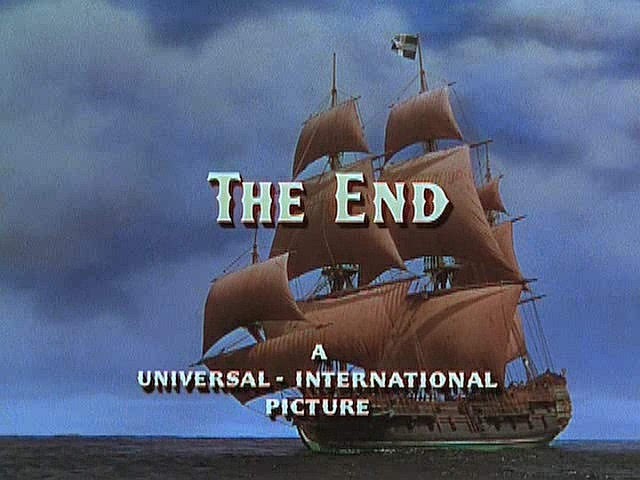 As observed by a reader Mathias' comments below all the rest of the miniature shots do come from previous productions, some from The Princess and the Pirate (1944) while the shots of the clipper ship rolling over and sinking come from a source as yet unidentified. 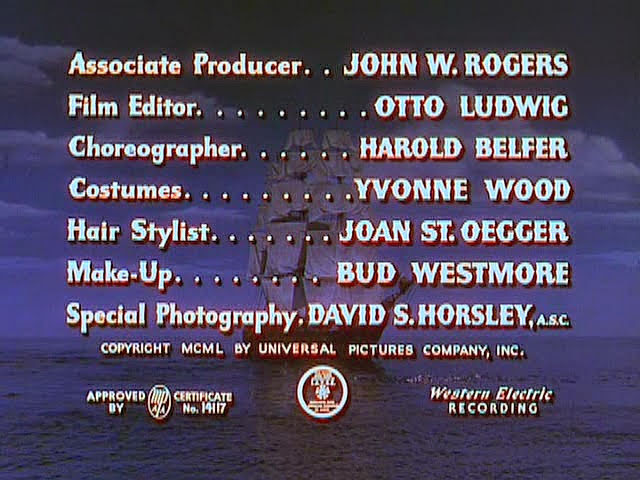 If you have any idea of the title of the movie from which the mystery shots are lifted, please use the comment system.